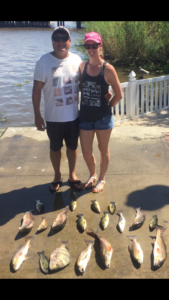 It was a beautiful day to go fishing. 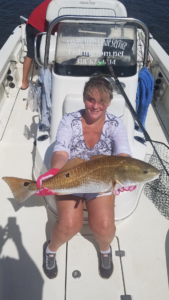 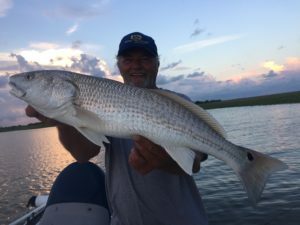 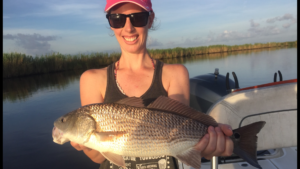 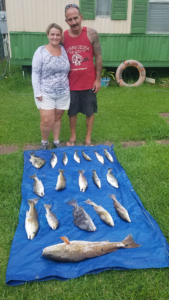 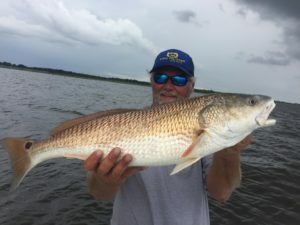 Tom and Rhonda had lots of fun fishing Lake Calcasieu. 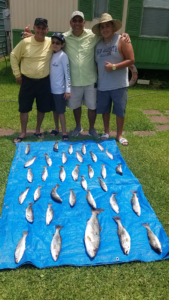 Vivian, Jesse, Matt and Joseph had an awesome day on the trout and hooked up with one monster trout. 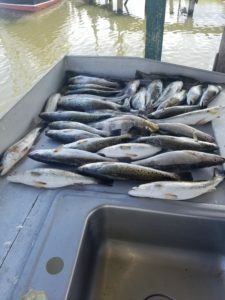 A short day of fishing still produced a table full of Speckled trout. 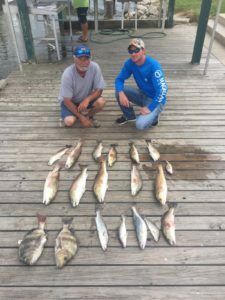 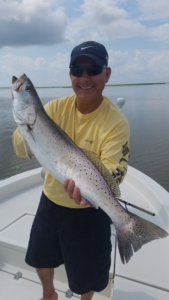 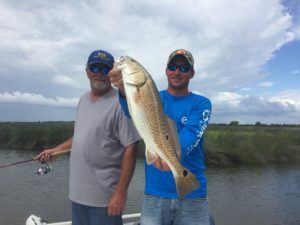 Jim and Michael had big fun fighting for the bronze of the waters of Southwest Louisiana.